A UK-wide organisation to represent rank and file police officers and staff from the Sikh faith, the National Sikh Police Association (NSPA UK) is to be launched in Birmingham on 7 February. The launch is due to be hosted by Dave Thompson, chief constable of the West Midlands, and will be attended by Preet Kaur Gill, MP for Birmingham Edgbaston. The NSPA UK will give an “official, recognised voice” to the hundreds, if not thousands, of Sikhs now working for the police services. It will represent the views and beliefs of Sikh employees to senior officers and provide guidance and education about the customs and traits of the country’s Sikh communities. 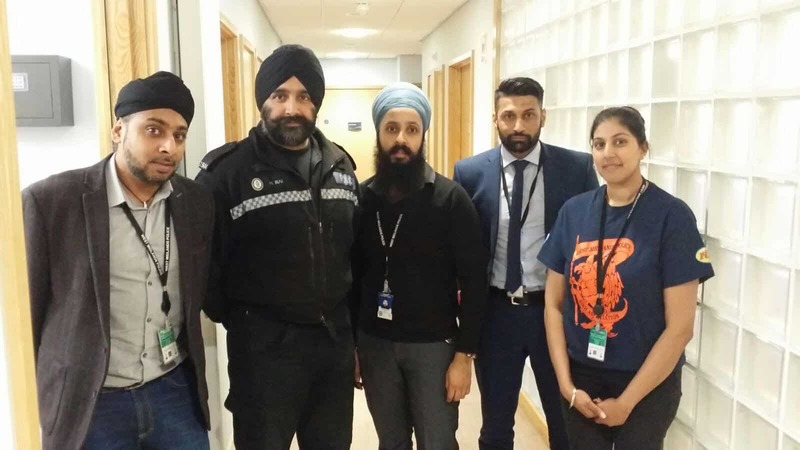 The greatest concentration of Sikh staff is found in the Metropolitan and West Midlands police services, and there are local Sikh police associations in about half a dozen areas. Sikh leaders recently clashed with West Midlands police in a row over police raids. Tension between the Sikh community and the West Midlands force had been escalating since its counter-terrorism unit carried out raids on the homes of British Sikhs campaigning for an independent homeland in India. Sikhs claim they were targeted at the request of Indian intelligence services after the arrest of the British Sikh activist Jagtar Singh Johal in north India, a claim denied by the police. Sikhs have been banned from public areas or buildings on security grounds because they are wearing the ceremonial dagger, or kirpan, which is regarded as one of the five articles of faith they are required to wear. Most recently, a Sikh man was detained by security guards at Gatwick Airport where he was picking up his family. Sikh leaders are campaigning for their right to wear the kirpan to be clearly expressed in legislation. Sikh officers who wear turbans, another article of faith, cannot join police firearm teams because the Association of Chief Police Officers (Acpo) ruled in 2010 that bullet-proof headgear was required. Acpo said, however, that Sikhs could wear smaller head coverings, called patkas, under helmets. The National Association of Muslim Police, which represents more than 2,000 officers, was founded in 2007. The association campaigns for inclusivity and diversity and plays a key role in improving trust and confidence between the police and the Muslim community across the UK. The Christian Police Association, which dates from 1883, was set up to encourage and support Christians serving in the police and provide them with a national voice. It is non-denominational, but is on the evangelical wing and is a member of the Evangelical Alliance. It has branches in the majority of police areas in the UK.